After releasing his second full-length album to critical acclaim, the emerging Chicago rapper Saba, who performed in Beckham Hall last spring for senior week, will begin his global tour starting later this month. Saba’s album Care for Me, which came out last year, is an exploration of his life in the aftermath of his cousin’s fatal stabbing. This sophomore album is his means of therapy to deal with this loss. With themes of death, regrets, and survivor’s guilt, Saba invokes empathy in listeners with a unique and intimate perspective on Chicago violence. Saba has been making a name for himself since 2012, releasing the albums GETCOMFORTable, ComfortZone, and his debut album, Bucket List. Alongside his solo ventures, Saba has collaborated with numerous rappers throughout his career. Notably, he made an appearance on Chance the Rapper’s Acid Rap, on the track, “Everybody’s Something,” and provided the hook for the Coloring Book track, “Angels.” In addition, his chemistry with fellow midwestern artists Noname and Smino on tracks “Shadowman,” from Noname’s Telefone and “Ace” from Noname’s Room 25, display a blending of soul and jazz that also appears in Care for Me. While released in April of last year, Care for Me, the album maintains relevance. In an age in which albums tend to be over 20 songs, with a majority of them generally mediocre, Saba’s sophomore release is a cohesive 10-track project that leaves no room for filler. 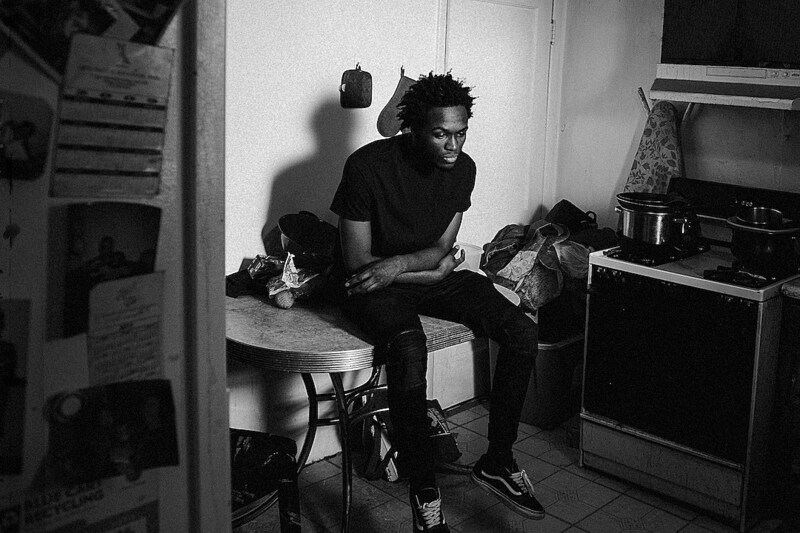 Every track adds to the narrative and themes that Saba is portraying. Every track gives into Saba’s world, allowing him to be vulnerable to the audience. From these two tracks alone there are phenomenal stories. The rest of the album is just as personal and poetic. “FIGHTER” is about the constant battles that Saba has faced throughout his life. As a child, he had to stand up for himself by fighting neighborhood kids. As an adult, he gets into feuds with his grandfather about not pursuing a college education, and into a verbal fight with his girlfriend because she feels that he doesn’t respect her and what she has to say. Furthermore, Saba has internal conflicts over his insecurities and guilt for Walter’s death. On the final track, “HEAVEN ALL AROUND,” Saba raps from the perspective of Walter’s ghost, who hasn’t yet realized that he passed away. Lyrics like, “Chalk outline look like my shadow/Hand go right through the wall if I try to touch,” represent Walter’s realization of his passing as he starts to enter heaven. It is rare for an album to be simultaneously so action packed and so emotional. Care for Me is a truly well-written album that deserves recognition. Angel Santana can be reached at asantana@wesleyan.edu.